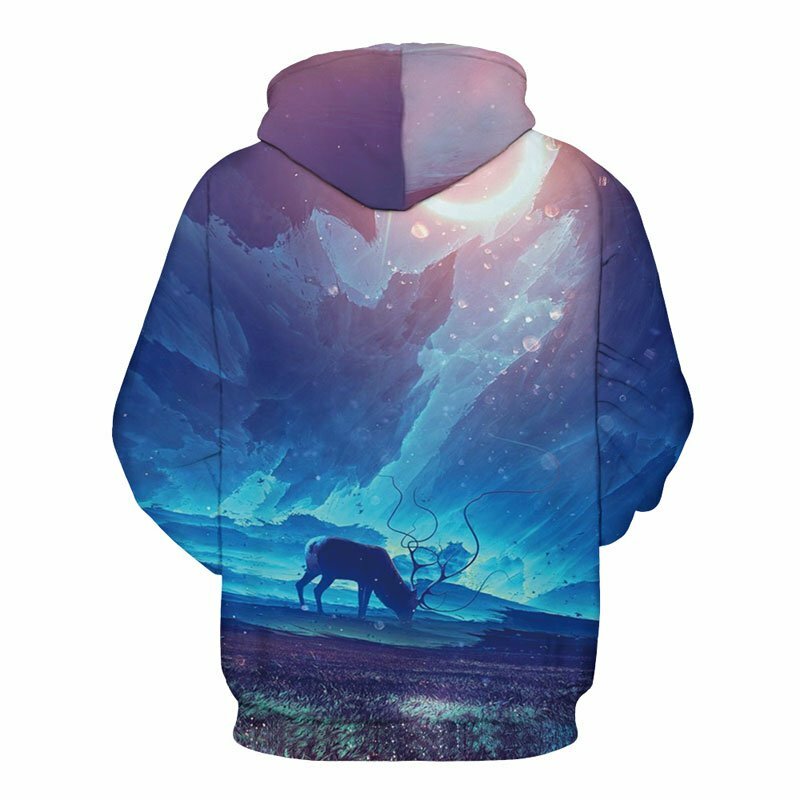 A cool hoodie that shows a frozen landscape with a deer grazing. 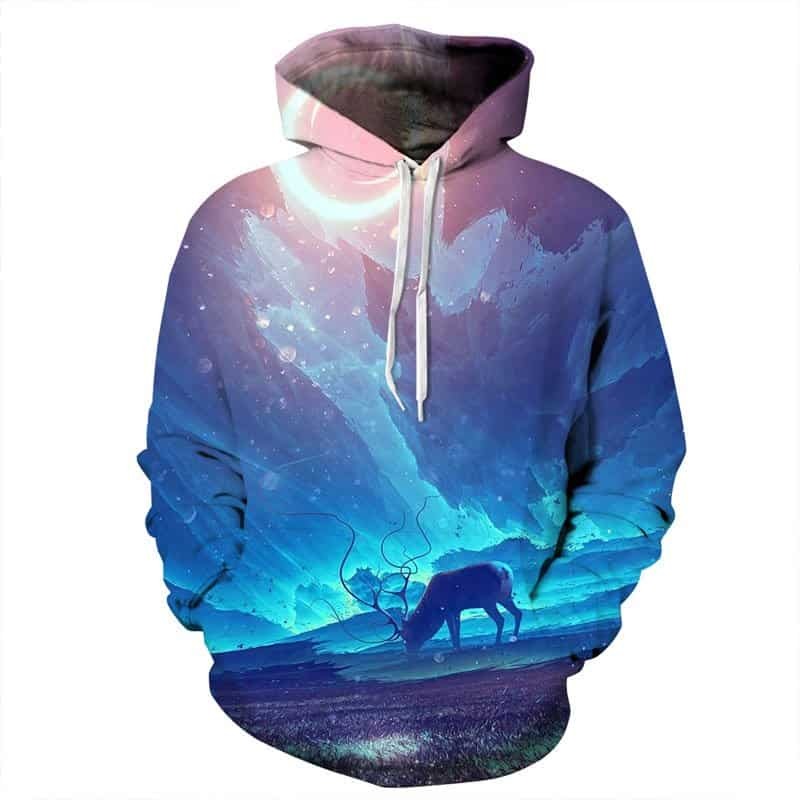 This Frozen Deer Hoodie looks incredibly stylish. The beautiful colors give of this fantasy world that only the mind can imagine. The hoodie is comfortable to wear, looks fashionable and is wearable anywhere. It was designed for both male and female. A great experience all round. The product arrived quickly, is exactly as described and the fit is great. I had contact with the supplier, which they initiated, before shipping to confirm sizing. I appreciated this personal touch. Will certainly order again. Their sizing chart was accurate as well.